October signals many things: the start of fall, breaking out warm clothes, and Halloween. Halloween is a beloved holiday. Anyone can be whatever they want to be for one day, and children eat so much candy they could burst. 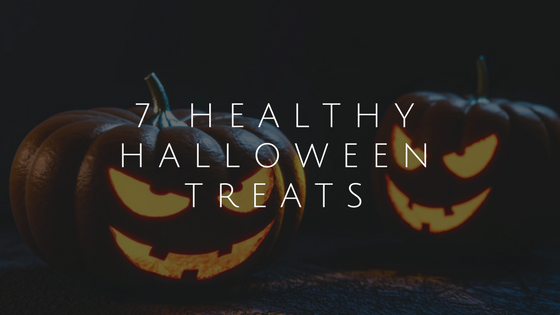 With so many parties and trick-or-treating, it’s easy to overindulge in unhealthy food. However, I have found a few treats that are trickily healthy. Fall is the perfect time to bite into a crisp, refreshing apple. And who doesn’t love candied apples? Everyday Health found a way to liven up this old tradition and make it just a little bit healthier. Using dark chocolate baking discs instead of caramel, you can keep the sugar away from your children (and they won’t even know!). The visual of a smiling Jack-o’-Lantern is the perfect symbol for Halloween. Nothing brings the holiday spirit like these fruit cups! Simply carve a face into an orange peel and fill the rind with whatever fruit you like. Your kids can enjoy this treat as an after-school snack, and they won’t spoil their dinner. Do you have a plethora of small pumpkins that are too small to carve? Take a stab at this grown-up appetizer. Your adult friends will thank you for the variance — after all, they’re probably just as sick of candy as you. At the same time, you’ll have the perfect Instagrammable party food. Parents, be careful. Your kids may get a little freaked out by this one! Monster apple bites are a simple, 3-ingredient finger food. All you need is an apple, some almond slivers, and strawberry or raspberry jam to create this freaky dish. If you live in a warmer climate, you’ll appreciate this treat. Boo-nana pops are essentially frozen bananas dipped in white chocolate with mini-chocolate chip eyes. While these aren’t 100% candy-free, they are a healthier option. For kids who love to help you cook, this is also an easy treat to pull off! The easiest way to get kids to eat healthier is to make a snack a fun project. Ask your kids what their favorite monster is. Take a clear plastic cup and draw that monster’s face on it, then fill in the clear parts with fruit matching your monster’s features. It’s a simple way to get kids to anticipate eating a healthy snack. Now that your kids have consumed enough fruit for one day, introduce them to a devilish treat. The name itself sounds spooky, but the visual adds a whole other dimension. Adults and kids alike will love this hors d’oeuvre, especially if you go the extra mile and add the pumpkin’s stem. If you have a Halloween party coming up or need a way to curb your child’s sweet tooth, try a few of these easy-to-make snacks. You’ll have everyone dying for more.